As most of you know, among many other activities throughout the year, we host a huge toy store with toys donated from the community. Foster parents and needy families in our community are invited to "shop" in the store for holiday gifts for the kids (at no cost to them). Last year the Toy Store served almost 5000 kids in Ventura County! Gift certificates to stores such as Target, Walmart, Barnes & Noble, Best Buy, etc. can be used for children of all ages. Including batteries with gifts that require them is greatly appreciated! 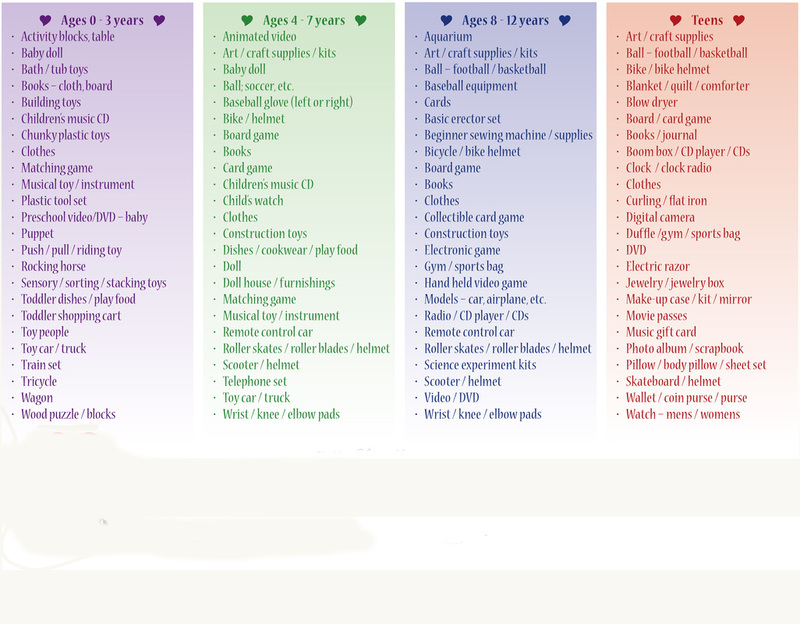 Here are a few gift ideas from our Foster kids wish list.